← There is a fly in my house as big as a hummingbird! I am very thankful that my dog, Belty, is here with me – filling the house with really stinky gas fumes today. 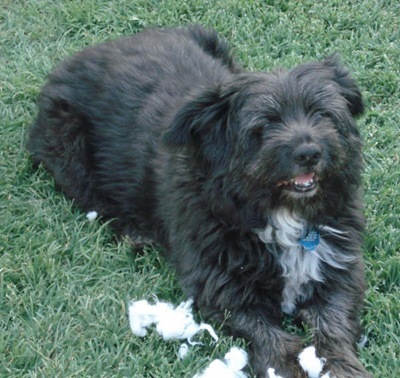 My Really Good Boy Dog Belty (Mom’s Main Man) is having tummy problems today, and it is causing him to pass gas – really exceptionally bad gas – I mean go outside and get some fresh air bad gas. But, I am feeling very thankful right now that my good boy Belty is here with me stinking up the house. We don’t really know how old he is. He was a stray when we adopted him, and they guessed at about a year and a half old at the time. So, we have done the math ever since. So, we guess he is 13. He is slowing down. (not fair. He is too good of a Boy.) He is getting old. His system is not all working well any more. His digestive tract, particularly, does not work well any more. Sometimes he throws up, sometimes his tummy makes a lot of noise, and sometimes he just passes really awful gas. Today, I am feeling very thankful that my good boy Belty is here with me stinking up the house. I really dread losing him. I’m over fifty and have outlived several good dogs, but Belty is the best dog in the history of dogs. Here’s a blog I wrote a blog about him: Belty, the best dog in the history of the world, is not going to live much longer….. So why am I writing this blog entry about how I love his stinky gas? Many years ago, in Ann Landers or Dear Abby, (advice columnists for many years and twin sisters) there were a series of letters from wives whose husbands were snoring so loud that they could not sleep. Day after day, letters complaining about snoring husbands. I wish my hubby was alive again so that I could listen to him snore just one more time. That one statement has really meant something to me in various ways over the years. So, today, I am very thankful that my good boy Belty is alive and with me, no matter what he is doing. I love you, Belty Boo. You are the best dog in the history of the world.